Along with its foundation, a structure’s roof is its most important component. Without a strong, durable, and dependable roof, a building is prone to leaks, drafts, and even structural damage. They’re particularly important during inclement weather, as low-quality or flimsy roofs are prone to warping, detaching, or even collapsing due to things like rain, snow, ice, and heavy winds. At Yoder’s Dutch Barns, we know all about what makes a structure well-built and trustworthy, and that’s why we’re proud to offer high-quality metal roofing. We’re an authorized dealer for Central States Manufacturing, a metal manufacturing company that has produced some of the best metal roofing for both residential and commercial usage for 30 years. 1. You get a 40-year limited warranty—Roofs are supposed to last not just for years, but for decades. And metal roofs are no exception to that rule, as they’re generally much hardier than roofs made from other materials. The metal roofs we offer come with 40-year paint adhesion warranties, 30-year chalk and fade warranties, and 20-year Galvalume® perforation warranties. 2. You can choose a panel quality that fits your budget—Different buildings require different budgets and resistance to the elements. We offer two tiers of panel quality, with our highest-quality panels being ultra-resistant to both dents and rust. However, both panel types are designed to last for many years. 3. You can choose from nearly two dozen colors—Worried that your roof won’t match your buildings color scheme? No problem. 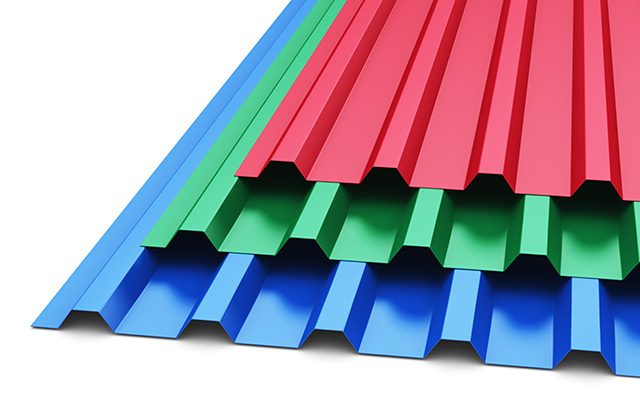 Our panels are available in nearly 23 bright and vibrant Valspar® CentralGuard® colors. Ready for a New Metal Roof? Contact Us Today. Get the perfect metal roofing for your residential or commercial building by contact Yoder’s Dutch Barns at (615) 789-1030 or completing our online order form. We’re available to answer your questions and address your concerns, and we’re ready to help you get a roof that’s built to last for decades.